Payments for Jerseys/Shorts are due to Coach Chappell by January 16, 2011. We will be placing the order at that time so if you haven't paid you won't get your gear. We can't do individual orders so if you don't get paid on time or work out a payment plan with Coach Chappell you won't get another chance until next year. Just jerseys is $40, jerseys and shorts are $63. Its that time of year again, time to signup for Winter League! Just follow this LINK and click registration. All the details you need should be available on the Winter League site. We encourage all JV players to sign up, its a great chance to play and get better and learn from other people. All Varsity and Girls players are STRONGLY encouraged to sign up. Its cheaper if you are a USAU member so now is a great chance to take advantage of the Youth discount posted previously, it will save you a little extra on Winter League. For the first time ever, USA Ultimate is holding a month-long Youth Membership sale of $25 for the year (regular 2012 Youth Membership will be $30). This deal expires at the end of December. Lots of youth members will be playing at the State Championships, at YCCs, or at sanctioned leagues or practices. This is a great way to help them save a bit of money. Members can sign-up or renew through their member account. All the Tidewater Tuneup Schedule info is now available on the USAU Score Reporter. Below is the logo for Carrollton Clash that you will be able to get on all kinds of sweet gear from Breakmark at the tournaments on Nov. 12-13 and 19-20. The girls schedule for Kit Kat is as follows. It should be fun, the weather is looking nice and we should be able to make it home by about 11:30pm-12am if all goes well on the drive and we don't have to make to many stops. Do to a lack of interest in the weekend of Nov 5-6 the girls have been moved to the following weekend Nov. 12-13, this will allow for more girls teams to attend. Currently Allerdice, YHB X, YHB Y, and YHB Z, and Woodside are attending and we have interest from 1 other team who will make a decision in the next few days. The girls will play a round robin on Sunday of 4 or 5 games starting at Apx. 9am and ending between 3-4:30pm, due to the reduced length and amenities provided the entry fee will be $150 with a $25 discount for additional teams. Hotel information will be the same as that listed on the Carrollton Clash page for that weekend. This will also give the girls a chance to watch some good college womens ultimate if the schedule allows for byes. Zone Scrimmage - work on placement of the poppers and finding the hole in the zone, and also crashing more when needed. Triangle of Death - split into 2 sets if numbers are high, everyone throws. Fall Brawl 2011 Stats, final record was 3-3, 0-3 Saturday then 3-0 Sunday, lot of things to work on but there was a lot of good stuff this weekend in particular playing hard after a poor Saturday and winning 2 close games on Sunday. We will be playing 4 games to 13 in pool play. After that it goes into a bunch of crossover games and bracket play based on where we finish in the pool, with games at 10:30, 12:30, 2:00, 3:30 depending on how far we go and if we want to play a placement game at the end if needed. The hotel was getting low on rooms so we got 6 rooms held, we should only need 3-4 though depending on numbers of players and parents attending. 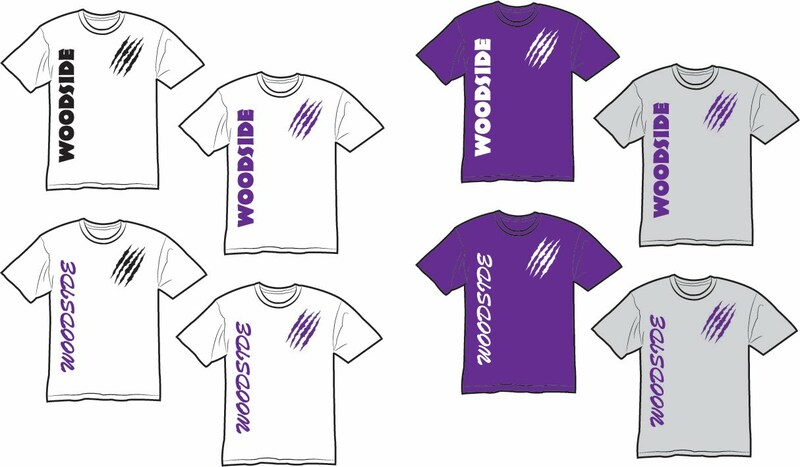 The extras are for any parents planning on going, email woodsidehs.ultimate@gmail.com or talk to Coach Richard or Coach Chappell to make sure we still have our 4. Then you will just call up and tell them you want to switch a room from Richard Rudnicki over to your name. We will cancel any extra hotel rooms on Oct. 19 to make sure there are no charges. The fields are just a mile or two from the hotel so they should be easy to get to. Any new players who haven't attended a tournament can check out the Fall Brawl Info 2 post about what sort of stuff you need to bring for the tournament, and yes this hotel has a pool. We are going to do a quick poll to decide which disc design we should print this year. You can see both options below, in order to vote just reply in the comments with your choice of disc design. 50 catches for everyone as soon as they get there! 3:40-end - Zone only scrimmage - talk about "shattering" because we didn't mention it Wednesday. Lets make sure everyone know what the call is and what is able to pick up a man quickly. 3:30-3:45 - MOJO - talk about HO for anyone that wasnt there on saturday and make sure they know whats going on, run some lines through with a called sequence to get people into the flow of things. 3:45-4:45 - HO only scrimmage, work on resetting to the middle of the field dont jam it up the line. If you have a few minutes to talk about endzone that would be good, or if you can talk to new and last years JV folks on the side that will work too. It would be good to have it somewhat in place for FB though. We just haven't had time to get to it yet. 4:45 - 3, 70yd sprints with 20 sec rest between each. If the intensity at practice isn't up to par with Monday stop and run 40yd sprints. We got an invitation to play in Kit Kat so thats great for our ladies who have another fall tournament now. Kit Kat is a 1 day tournament in the Philadelphia, PA area. We will head up Friday October 21 after school and come back on Satudary October 22 after games. More information about hotels, the fields, etc. will be provided shortly. As many people have pointed out Friday October 14, 2011 is a 1/2 day at school, we will be leaving from the school at Noon that day. Go home, get some lunch, whatever you need to do but be back at the school by 11:45-50 and ready to roll at Noon. Packing for the Tournament: This is directed for all our new guys who haven't gone to a tournament before. 1) Please pack light, we have limited space in the passenger vans and occasionally some extra space in a parents car, but we don't have room for you to bring huge bags. 2) Pack according to the weather, www.weather.com, search Princeton, NJ that will give you a good idea of what the weather will be like so you know what to bring. 3) Some of you will be on the floor, usually oldest guys get beds first, so bring a sleeping bag. We have started getting players sizes and numbers for jerseys, the signup lists for each team will be at practice, see Chase Snead to fill in your information. For all the people getting the full set of White and Purple jerseys and Shorts the cost is going to be $63 per player. For those who got everything last year and only need new jerseys the cost will be $40. The sooner we get jersey money in the sooner we can get them ordered. Vert only scrimmage - focus on switching the field, good decisions, no forced throws, and developing some flow, especially with the newer players. Vert only scrimmage - the remainder of the day, focus on switching the field, good decisions, no forced throws, and developing some flow, especially with the newer players. Reminder: Practice Saturday 10-8-11 at 9am until around 1pm, for all Varsity and Extended Tryout players, be on time there will be repercussions for being late. The time for talk is over, many of you have said you want to tryout for the U-20 team and heres the info to do it. Thanks to everyone who attended, great to see a bunch of new folks out to learn about ultimate and the club. We look forward to working with you all this year. Dues: Fall dues will be $40 which covers the costs associated with tournaments including, entry fees, transportation, hotels. We are asking that the girls pay the same $40 fee for the fall even though at this time we do not have the same number of tournaments for them. We are searching for additional tournaments this fall but if none can be found we will either bring them to an extra tournament in the spring or have them pay reduced dues in the spring. Jerseys: We will get new price quotes for jerseys as quickly as possible, jerseys will be from Spin and will be the same designs as last year. 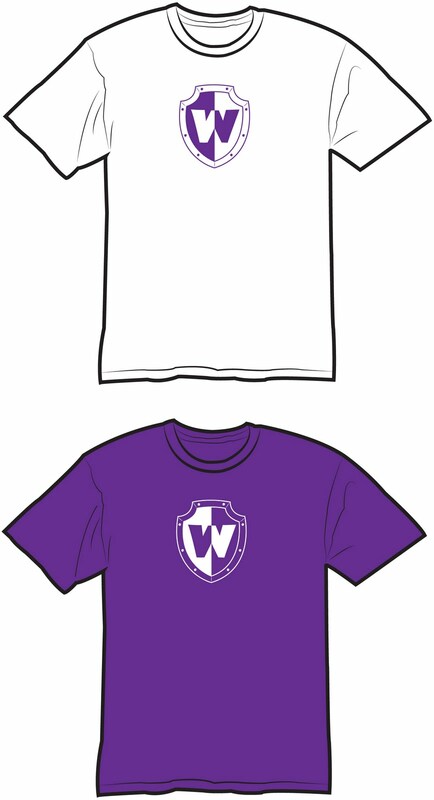 A rough guess of the price will be $60-65 which will get you shorts, a white jersey, and a purple jersey. Physicals: While we are a club and not a sport as recognized by the school, we are in reality one of the most physically demanding sports at Woodside. Therefore we request that all players get a physical and turn it in to Coach Chappell. 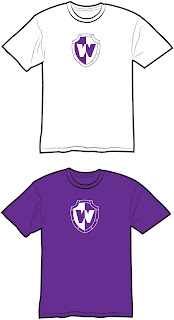 They are available from the school on October 12 immediately following school in the clinic for $20. USAU Membership: Membership in USAU is required for players to be eligible to play at the State Tournament in the spring. USAU membership runs each calendar year so purchasing the membership now is not necessary as it would expire on Dec. 31. We will get everyone to purchase their USAU membership in the spring. Tournaments: A list of tournaments can be found on the Calendar page, and shows what tournaments we plan on attending, when and where they are being held, and which teams will be attending. As always Parents are welcome to attend the tournaments, parents will have to provide your own transportation to and from the tournament and lodging if necessary. We always list our hotel information as far in advance as possible so you can stay at the same location as the team. Support: Your volunteer help will be needed at the tournaments we host, more information will be available on this when we get closer to those events. We can also always use any donation of drinks or snacks for the team as we head to tournaments. If you are ever attending a tournament and have an extra seat in the car it can be very helpful in getting the team where they need to be. Anything you are able to do is greatly appreciated. As always we wouldn't be as successful as we are without the support of all our great ultimate parents. Split by Returning players and new players. It was a great morning for some Ultimate, the rain held out for until about 1-1:30, and we had a great group of about 40 players out to learn about Ultimate. We worked with our new players to improve their throwing, marking, and defense, as well as getting a better understanding of a besic vertical offense. Our older guys worked on things like improving their break throws and started getting some conditioning in. Our ladies did a combination of the two as we brought our new and returning players together. Everyone worked on their layouts and took advantage of the soft ground and wet conditions. We wrapped it up with pizza and cookies, thanks to our awesome parents for bringing that together for us. Breakmark has finished the logo for this years Tidewater Tuneup gear, it looks great can't wait to have them at the tournament. They will also be running a little contest and collecting some data for Morril Performance in the process, everyone can participate and there will be some prizes to the top performers. There will be a parents meeting for the fall season on Thursday September 29, 2011 at 6pm, in Coach Chappells room C-150. We will announce a different location if needed. The meeting will be to discuss the upcoming season, including Tournaments, Dues, Jerseys, Parent Involvement, etc. Take 5 min to read this and ask yourself do you want to be great? Below are the stats for the entire 2010-2011 season. 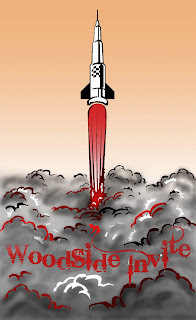 In all Woodside faced 40 opponents in 7 tournaments and put up a record of 18-22, however if you remove the college opponents Woodside finished with a record of 17-16. The teams leader in scoring and assists was John Kennedy. The teams leader in D's was Josh Ford who just edged out Chase Snead. The teams leader in efficiency (pts vs turnovers) was Angel Huezo followed by Chase Snead and Alan Hancock. Here are the stats for VA States 2011, this was our best tournament of the year in terms of points scored to allowed and turnovers. Partly due to some weaker teams in pool play but also I believe we were playing our best ultimate of the year. 2011 entire year stats coming soon. For the agility workout you will do 3 sets of the following drills with 5 minutes rest between each set. Rest between reps should be 1-2 times what it took to run, aka if it took you 10 sec to run then you should be running it again 10-20 sec later, groups of 2 or 3 builds in the timing for you. This is really more of a clinic, its just a few hrs on 1 day and its pretty cheap, but you also get to see some sick ultimate played. There are close options in Arlington, VA and Chapel Hill, NC. This would be great for anyone planning on playing varsity next year but particularly the younger guys. Go HERE all the info for dates and the online registration are under the workshops tab. We will be having a team banquet on Friday June 17, 2011 to end the year, pick an underclass captain for Varsity for next year (we will be retaining our 2 senior capts), say goodbye to our seniors, and generally just wrap everything up. The banquet will be a potluck so each person will need to bring a food or drink item. We will have the banquet at Woodside HS in the cafeteria at 6pm. 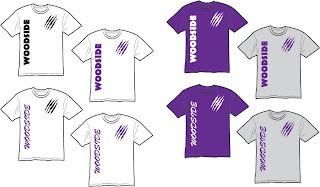 Please text Coach Richard with what you are bringing or email woodsidehs.ultimate@gmail.com with what you are bringing. We will update the below list accordingly. This one is much closer to home and cheaper than the other ones out there, plus it will give you a chance to learn the "enemies" ways and report back since its run by Dave and Will from YHB. In all seriousness though it would be a great opportunity for some of the younger guys who are trying to develop their game over the summer. 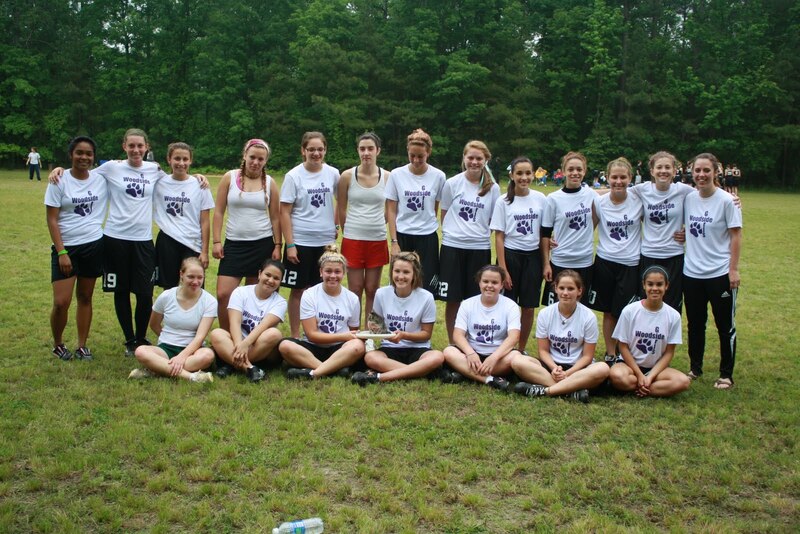 Learn more about Capital Ultimate Camp here. Heres all the info about summer ultimate, some of it for the second time, so everyone will know whats going on. You can learn everything you need to know about Tidewater Summer League here but the quick rundown is games are on Thursday evenings and Saturday mornings, they are played at Nike Park in Carrollton, VA (where Tidewater Tuneup was held this year), cost is $45 for all USAU members which everyone that went to States is, its mixed so probably 5 guys 2 girls on the field at a time, and it should be decent play. All Woodside players are strongly encouraged to play as a chance to get better over the summer and stay sharp. You should be able to work out some carpool since a lot of Woodside people have said they are playing and there will be some of you on every team. You can get more info for Woodside Elite at the facebook group here this is a team of current and former players as well as Coach Richard and former Coach Christian Lesnett. The team will travel to a couple tournaments and Club Sectionals during the July to Early September timeframe. There will be tryouts (schedule on Facebook), everyone who has intentions of playing on varsity next year should be there. Even if you don't make the Elite team you can still come to practice all year and there may still be 1 or 2 chances for you to play as an alternate or as a B-team. This is the best chance for young guys to get better and is a HUGE first step towards our goal of winning states in 2012. We have some sweet Spin stickers for this weekends best plays and players you can pick them up from Coach Chappell, get there quick so he doesn't keep them for himself. Couple other superlatives for Varsity, they don't get stickers because I didn't get any more but they are worthy of recognition. Woodside Varsity looking good in their stylish Spin Jerseys covered in the blood, sweat, and dirt of one of the most successful weekends in the program history. JV somehow still standing even after playing more games than any other team at the tournament and stepping up to play in both the placement and JV brackets. The Girls team with their new friends from Rockbridge, and their mascot, after their most successful state tournament ever. The other option is National Ultimate Training Camp and you can learn all about it HERE. Varsity - 2nd Place in the Open Division, Beat LC Bird HS in the Semi-finals on Universe point, lost to YHB in the finals. The guys played their butts off all weekend and put together one of their strongest and overall most consistent tournaments in Woodside history. Proud as heck of every one of them and the work they put in all year to get there. JV - Tied for 7th Place in the Open Division, Played in both the placement bracket and the JV bracket on Sunday and were solid in both. Extremely strong showing from the future of the Woodside program, we have a lot of talented guys to build with. Girls - 5th Place in the Girls Division, Beat YHB Newbies for the first ever Woodside Girls team win at a VA State Championships, a major accomplishment for the young ladies that no other team had ever managed. Several of the girls mixed in with JV on Sunday to provide some extra bodies and played extremely well against the guys. The Girls have a chance to be some of the best and most successful to ever come through Woodside Ultimate. Pictures and additional information to come in additional posts. We will also begin posting some information about bringing back Woodside Elite so people have a chance to play this summer. Also check out Tidewater Summer League in a previous post for another chance to play this summer. Sorry for the last minute posting of this information but Blogger has been doing maintenance for about 24 hrs and we couldn't get it posted yesterday when the revised schedule was given to us. JV and Girls need to be at the school at or a few minutes before 6am and the convoy rolls out at 6:15am. Everyone please come don't ask about heading straight there, I want to make sure everyone is in a vehicle and that we don't have a bunch of empty seats. Please be on time, bring your permission forms, usau dues and forms, proper clothes and items needed for the weekend, etc. Varsity will be meeting at 8:45am and leaving at 9am. Everyone please come don't ask about heading straight there, I want to make sure everyone is in a vehicle and that we don't have a bunch of empty seats. Bring everything you need you guys should know the drill by now. Guys Schedule, this one may change leading up to the tournament so check back. Girls Schedule, I believe this one is set but it wouldn't hurt to check back as well. All JV and Girls players need to become USAU members in order to play as we have discussed. This needs to be done one of 2 ways. 1. (Best Option) Go HERE and hit the "Brand New Membership" link and follow all the steps paying online. After this is complete USAU will send you your USAU Id Number and you can login and complete the waiver, MAKE SURE YOU DO THE WAIVER. You need to send this ID number to Chappell via text or email it to woodsidehs.ultimate@gmail.com, we need the number in order to add you to the roster. 2. (Less Desirable) Go HERE and hit the "Brand New Membership" link and follow the steps, but do not pay online. You should still get a USAU Id Number and be able to login and complete the waiver, MAKE SURE YOU COMPLETE THE WAIVER. You need to send this ID number to Chappell via text or email it to woodsidehs.ultimate@gmail.com, we need the number in order to add you to the roster. You will also need to turn in THIS FORM and your check made out to USAU for $29 to Chappell, please put the USAU Id Number on the check. Everyone on JV ad Girls also needs to complete THIS FORM and turn it in to Chappell so we can take care of you if you were to get injured while playing. Anyone interested in playing ultimate this summer has 2 league options. Richmond: Everything you need to know about signing up for Richmond Summer League can be found here, signups have about 10 days left, games are on Wednesday evenings and Sunday afternoons. Games are played at Dorey Park in Henrico County, which is about 1hr 10min from Woodside. Tidewater: Everything you need to know about signing up for Tidewater Summer League can be found here, signups have about 1 month left, games are on Thursday evening and Saturday monrings. Games are played at Nike Park in Carrollton, the same location as Tidewater Tuneup, which is about 35-40 min from Woodside. 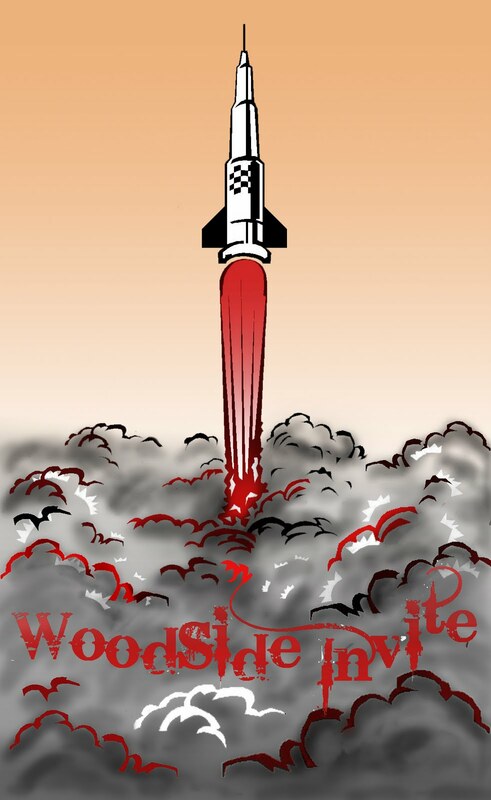 We will also be bringing back Woodside Elite this summer, with practice a couple times a week and 1 or 2 tournaments plus the club series, more info forthcoming. 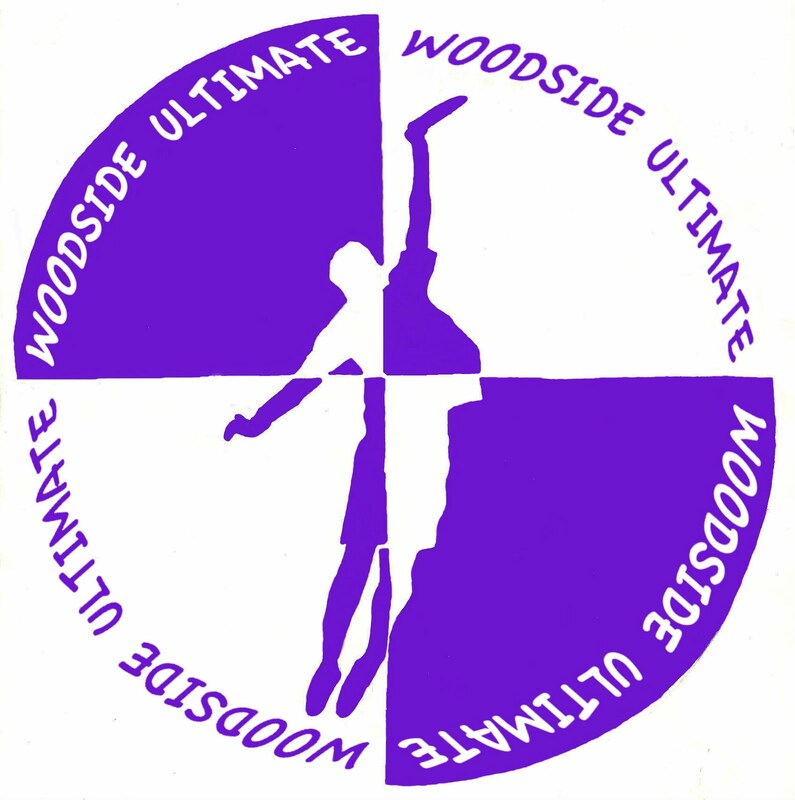 Kind of a cool milestone, 100 posts about or related to Woodside Ultimate. Anyway, this link will take you to the USAU thread about nominating players for an All-State Team and coaches for Coach of the year. If you want to nominate any of your fellow teammates or any of the guys you have played against this year take a minute and do so. Show some respect for your fellow flat-ballers. · USAU Registration: First let me say thank you to all those who have paid spring dues and for jerseys. Bringing up the subject of asking parents to pay more money is always difficult however Ultimate is still a fairly inexpensive sport to play. One thing that is required every year for our players to play in States is for them to become USAU members. The cost is $29 for high school players per calendar year and this membership mainly covers players under USAU’s insurance in any USUA sanctioned tournaments. They will receive a USAU membership #, magazines, stickers, etc. Since States is organized and run by our governing body, USAU, all players need to become members in order to participate. Have your kids show you the site, www.usaultimate.org, and click on membership information under the membership tab, then click the join online link. If everyone can pay on line it would expedite our process to prepare our roster. Let me know if anyone cannot pay on line and we will work it out. This needs to be completed by May 11, 2011 and your child needs to tell us the USAU Id number then are assigned so they can be added to the appropriate roster. If this is not completed your child can not play at States per USAU guidelines. · Now as for our club’s financial situation. We do not know the exact amount that we will have to pay for States because too many players have not paid the $25 spring dues. As of now, Richard and I believe that we will be significantly short funds to pay for States; which includes entry fees, rental vans/gas, and hotel rooms. There are two reasons for this situation. The main reason for this is because of the jersey fiasco. Briefly, we ordered varsity jerseys through a company, Rep Ultimate, who messed up our order. They printed wrong color jerseys, messed up numbers and fonts, and were not on time with anything. This put us behind in our other jersey orders. After receiving the reimbursement from them, we found a company, Spin, who could do the jerseys (a white and purple and shorts) for about $12 more per set ($62 instead of $50), this was the lowest price amongst all other companies. Richard and I initially tried to absorb this extra cost with proceeds from our tournaments but we did not make enough for this to work. The second reason is reduced dues for the spring season. In the past dues have ranged from $35-45 for the spring season to help cover the increased expenses of tournaments, this year we only requested $25, again with the though that the increased number of tournaments we were hosting would help offset the difference. With the failure of our spring HS tournament to come together this idea did not work. One way to help solve this situation is to have everyone pay their spring dues ($25), allowing us to make accurate estimates of how short of funds we are. Looking back at my receipt book, I see a lot of players who have not paid. We have tried to contact everyone, but everyone needs to come see me to double check, there is also a list attached of all players we believe owe money. We need everyone to pay as soon as possible. In addition, we are asking everyone, if possible, to pay $15 extra dues/jersey fees to help recoup expenses. Anyone willing to donate money would be greatly appreciated. We do understand that this could present a financial hardship for some families, and we will accept whatever anyone can give. We are simply trying to make States weekend as enjoyable for our players as possible. As for the financial breakdown for States, we are going to need money for hotel rooms, transportation, and tournament entry fees. Our first thought to reduce costs for States this year is to put together a carpool to States and eliminate the need for vans. Usually two vans cost us about $350 and the cost of gas which is incredibly high. If we get enough parents to car pool then we could avoid that cost and use the funds for hotel rooms. The parents staying would also help reduce the number of hotel rooms we need.The one thing we do not want to do is take away the hotel stay. This is something the kids enjoy, swimming in the pool and the hot tub, etc. and has been a tradition since the first year of the program. If everyone pays the spring dues, many people pay the extra $15 and we have enough adults to car pool to Richmond then we should have enough funds for the rest of the year. Please understand that myself and Richard take full blame for our club’s financial hardship. This is our first year dealing with the financial component of the team and it has been a major learning experience on the fly. We had large aspirations for our increased tournament hosting offsetting costs but with the failure of our HS tournament in the spring we did not meet those aspirations. This is a situation that will not occur again in the future thanks to the learning experience of the unfortunate situation we are in right now. We could have stayed with the first jersey company until they fixed all of their mistakes but that we believe that would have taken too much time. Richard and I are doing and will continue to do the best we can to make the end of our spring season a good one. My emails are not reaching all of the players and parents. Please everyone do me a favor; text, facebook, email everyone possible and ask them to send me their emails (especially parental emails) and cell numbers. Send the info in a text to my (Greg) number 757-952-7067, just include your name and any info you can find for me. 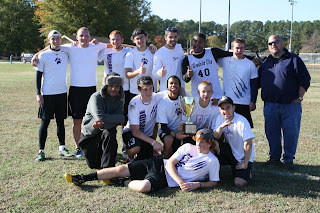 Also please get in the habit of visiting the blog (www.woodsideultimate.blogspot.com) regularly for updates about the team and things like tournaments, dues, etc. Thank you very much for all you do for Woodside Ultimate! The next track workout will be on Sunday May 1, 2011 at 6:30 at CNU on the field in front of the CNU track. Bring cleats and water, and be ready to do some work. This is the same hotel the team has used during some of the previous years and and has an indoor pool and hot tub and provides complimentary breakfast. Its located just a few minutes from the fields. The next track workout will be this weekend Saturday April 23, 2011 at 6pm at the CNU Track. Everybody that can be there needs to be there. Bring running shoes and cleats and some water. States is coming up and you need to get your USAU membership done ASAP if you want to play. It is a requirement for States that every player be a USAU member. You need to go to USAU Membership and follow the join online link to get signed up and pay your USAU dues. If you do not do this you will not be playing at States, you have just over 2 weeks to get this done so we can get our rostering done on time. After you sign up please give your new USAU Id number to Chappell. Players: if you have not paid the $25 spring club dues, this must be paid ASAP. This money will help us pay for States; entry fees, vans and hotels. JV/Girls: the jersey order will be placed next week, by Tuesday, make sure you have given Chappell your sizes and #’s, this is your last chance to pay if you haven’t. JV the order is looking small! Varsity is going to “Born to Dive” in Fairless Hills PA, leaving Friday for a weekend long tournament. JV is going to "Shore Tour" in Centreville, MD, leaving Saturday AM for a one day tournament. Shore Tour: Because of a schedule mix up with a fellow coach/teacher, Chappell will not be able to travel with JV to Maryland. Our sponsor and fellow Spanish teacher, Deja Hines, volunteered to drive the van to MD and chaperone our players. Joe Hoffman a Woodside Alumnus will be going with the team to Coach. -Games begin at 9:30 so the van will be leaving at 5:30, no later than 5:45. -Directions will be handed out or use the above address to GPS. -Pizza will be provided by the tournament for lunch. -Games will finish around 4:30, Woodside will stop to have dinner and should be back at school around 9pm. Parents, please pick up your kids promptly so Ms. Hines can return the van on time. All players going this weekend must have field trip permission slip forms signed. Varsity must have the PADA Ultimate waiver signed also. JV/Girls: if I do not have a medical waiver signed by parents, I need one so you can play Saturday. Make sure everyone packs for the weather and brings CLEATS!!! Also bring any spending money that you might need. Shuttle Relay, 20yd/30yd/40yd shuttle, teams of 4, each player goes 2 times once through then team then a second time through the team. Along the way with tournaments and jerseys and all the other things going on this spring we have not done a very good job of collecting all the club dues. There are still a lot of you who have not paid the club dues of $25. If you know you haven't done it please be proactive and do so, we will be compiling a list and hunting you down otherwise. Just a recap of what you have to pay for the year so that you know where you stand. 3. Jerseys - $50.00 - This is only if you want 2 sweet jerseys and a pair of shorts if not you can use whatever purple and white shirt you own. - Not required. You can find the schedule here. We have some great pool play games vs West Windsor North who we lost to in the fall, Pennsbury, and Hopkins. We need to step up and be ready to play I believe we can make the Championship Bracket but it will take the same type of game we brought against YHB every time. The second workout will be held on Friday April 8th at 6pm at the CNU track. 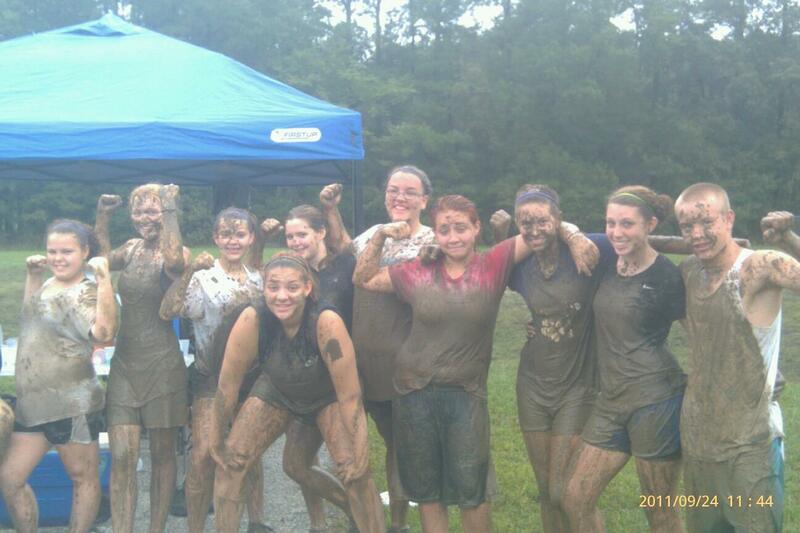 Bring running shoes and cleats, water, anything else you need to run and get in top shape for states. If we get enough people we will try to play some mini or something afterwards. For those who don't know the track in on the back side of campus off of N. Moores Lane, its in the football stadium which is right around all the other playing fields. As requested by the team we will have a practice during the week. Practice will be Wednesday April 6th, normal time - 2:30, normal place - Greenwood Elem. fields, normal length - til 4:45 or so. Lets take advantage of the break from all the other sports and activities and have a full turnout so we can work on some new defenses and get some good scrimmaging in. We will still be having the practice on Saturday April 9th as well. We will be staying at Comfort Inn for B2D. The address is 2779 Route 1 North, Trevose, PA 19053. Phone number is (215)638-4554. Any parents planning on going could you let us know, we have 4 rooms reserved but if we had enough extra space in other places to drop it to 3 that would be very helpful. JV and Girls, there will be no practice during the week of spring break, we would like for you both to attend the Saturday April 9th practice from 9am to 1pm. Please plan accordingly. JV this will be a big preperation for your tournament in Maryland the following weekend. I will be doing a weekly track workout for the remainder of the season that I encourage everyone to attend. This will be a great chance to really get in shape as we lead up to states. They will all be held at the track at CNU so come out in some good tennis shoes ready to run, bring something to drink as well. I would also bring some cleats we may be able to mix in some drills or if we get numbers we can probably throw together a scrimmage or some mini afterwards. The first one will be this Saturday April 2, 2011 at 11am. I will be there to run practice on Thursday, get ready to do work. Varsity will be having a Saturday practice on April 9th from 9am to 1pm as previously announced. All teams will have a practice on May 7th to get ready for VA States, Varsity will go from 9am to 3pm, JV and Girls from 9am to noon. Please put it on your calendars,put in a request to get off work if you to, etc. Friday night March 25, 2011, varsity team dinner at Fazoli's on Jefferson Ave. near the entrance to City Center. Everyone be there at 6:30, this is being organized by your Captains and Seniors. I will be picking up vans for Saturday but I will try to get there in time with the jerseys. I know attendance has been really weak lately so do this the best you can, put JV with Varsity if needed for numbers, teach them endzone, HO stack, etc as needed, if we don't get better attendance we will be needing them for tournaments. We are running the same scrimmages both days, we need to focus on setting up endzone and converting opportunities and on not giving up breaks, stress those things in practice. We initially went with Rep Ultimate for our Jerseys who was offering an amazing deal of white and dark jersey, shorts, and a trucker hat for $50, and because we wanted to try and support a smaller newer ultimate company. They assured us they would be able to get the varsity gear done by our first tournament. The jerseys were not delivered on time for the first tournament so Rep said they would throw in a free t-shirt as an apology for being late. A few days later Rep let us know that the jerseys had shipped but there was an issue and instead of the dark jersey being purple they were sending maroon ones, some sort of error with their distributor. They said the maroons were free and that they would be printing a set of purples and getting them out ASAP, so we would be ending up with 3 jerseys. When the jerseys arrived the numbers on the backs were printed wrong and a lot of the screenprint quality was low. After some thought and discussion we decided the best course of action was to get a refund and cut ties with Rep. The next 2 days were spent talking to numerous other ultimate companies and getting them mockups of the jerseys so we could get price quotes. After discussions with 4 other companies we got the best price we could, for the closest comparable product to the original, we ended up with Spin Ultimate. Our order has been placed and is being rushed to ensure its arrival before YHB Invite so Varsity will have a new set of white jersey, purple jersey, and shorts for the tournament. We asked JV and Girls to have paid and given sizes by Thursday March 17 so that we can complete our list and send payment to Spin for their gear early next week. Without rushing these orders we should be looking at a 3-4 week turnaround. That completes the jersey saga of the past couple weeks, and gets everyone up to date with what to expect. Moral of the story, if something seems to good to be true it probably is. Coach Richard will be handing out waivers on Monday that have to be completed in order for you to play in the tournament. If you can not make practice on Monday you can get a waiver from Coach Chappell in his room on Tuesday. These are very important and need to be turned in to Coach Chappell by Friday, if you don't have a completed waiver you will not be going to Arlington. The phone number is 703-671-6500. Any parents that are planning on coming and would be so generous as to allow extra kids in their room please let us know. We will be having a Saturday practice on April 9, 2011 from 9am to 1pm in order to get ready for Born 2 Dive. Ask off work that morning now, if you can't make it you better have a real good excuse, it will effect playing time at Born 2 Dive. We will be leaving for Arlington at 7am from the parking lot at Woodside, anyone not there and ready to go will be left. Everyone needs to be there no later than 6:45 so we can get loaded up and get on the road. The school has decided that we are no longer allowed to use 15 passenger vans for transporting the teams, so we will now be using 12 passenger vans. This obviously presents a problem since we have to make up at least 6 seats that we once had. 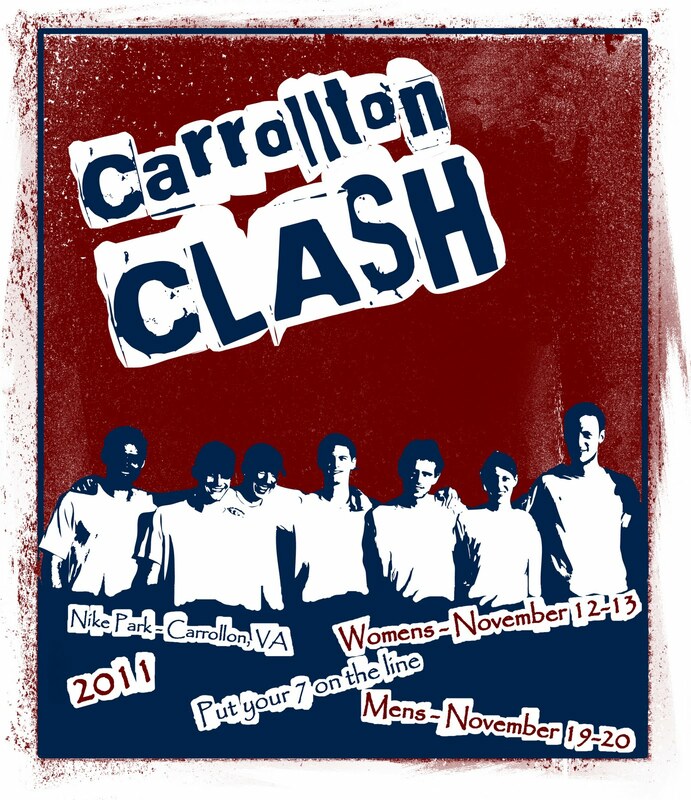 Any parents planning on coming to Arlington with us that would be willing to take extra players with them please email and let us know, (woodsidehs.ultimate@gmail.com or Gregory.Chappell@nn.k12.va.us) we need at least 6 seats and probably more like 10-12 depending on the amount of girls planning on attending. Here is a link which will take you to the guys and girls schedules for YHB Invite in Arlington, VA which we will be attending the last weekend in March the 26th and 27th. We then play dependent on our finish in the pool at 7:15 or 8:40 Saturday or 9am Sunday and follow the brackets from there. We then play dependent on our finish in the pool at 8:45 Saturday or 9am Sunday and follow the brackets from there. Congratulations to the Clemson Tigerlilies on avenging their pool play loss and beating Valparaiso 14-13 on universe point to win the tournament. Thank you to all the teams from coming out, and special thanks to Salisbury for helping the Woodside Girls on Saturday afternoon. Scrimmage with 2 pt breaks, set up an extra cone 10yds in on the break side a score to the break side is worth 2pts instead of 1. 1-70yd sprint for every breakside score given up by a team. Woodside teams, due to lack of interest we will not be having a multi-team High School tournament this weekend March 12-13. We will be playing some ultimate though. We will be combining all Varsity, JV, and Ladies together and forming 3 or 4 teams and playing our own round robin tournament on Sunday March 13. There will be a prize for the winning teams and lunch for everyone at the end. We will be playing at Nike Park in Carrollton, VA where the tournament was supposed to be held. We will be starting at 10:30 so everyone should be out no later than 10 in order to warmup, and so we can split up teams. Sorry that we were not able to pull together a complete tournament as we would have liked but this will be a great way for everyone to play some games and get some good experience. This does not affect the College Womens tournament in any way. 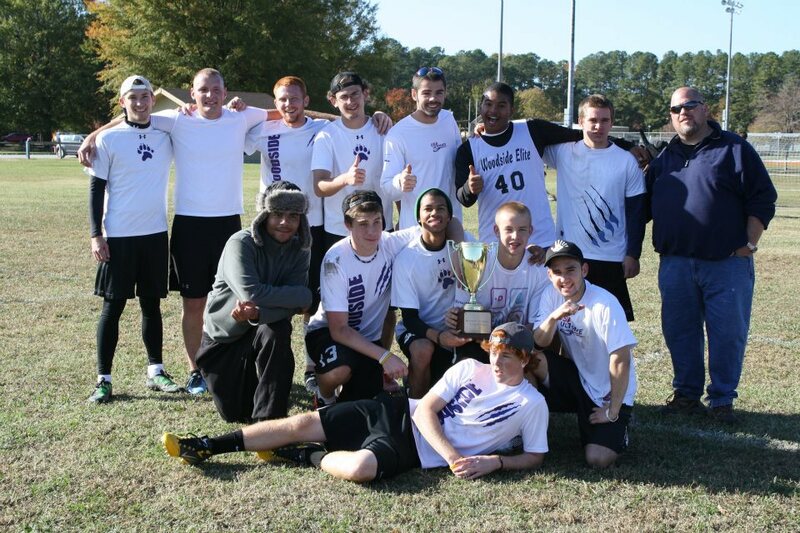 Congratulations to Penn State Spank for winning Woodside Invite College Edition this weekend. They played a great tournament dominating the competition throughout the weekend to secure the Championship. We look forward to their return next year to defend the title. Woodside Players, please be at the fields (Nike Park in Carrollton, VA) and ready to start warming up by 7:45 on Saturday. Bring your white and purple in case the new jerseys aren't here yet. We will be playing 3 games, have a bye during the 2:10 timeslot then have 1 more game to end the day. Bring plenty of water, gatorade, snacks, etc. Parents we are looking for some volunteers to keep an eye on the tournament headquarters tent, refill water coolers, record scores, etc., starting around 7:45am until we finish up at 5:30-6pm if you can give us a couple hours during the day please email woodsidehs.ultimate@gmail.com, whatever times work for you is fine. Thanks! Seeding is done and Pools are up, everything can be found on Score Reporter.